Please enquire within the clinic for the full list of products available for sale, or call 9971 2185 for information over the phone. Spiky Ball: The “Spiky Ball” is a firm plastic ball covered with pointed ridges that is designed for self massage. The ball can be used to roll around tight bands of muscle to assist in their release. It is useful for relieving muscular pains and tightness. Wheat bags: Heat in the microwave to apply steady and gentle heat to relax muscles. Variety of sizes and shapes. 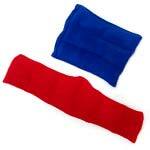 Arm Sling: When muscles and joints need immobilising this comfortable sling will assist in the healing process. Sarah Key’s “Back Block”: Designed by renowned physiotherapist Sarah Key, the back block is a tool used to stretch the spine in a way that optimises intervertebral disc health and maintains correct spinal flexibility and posture. Foam Roller: The foam roller is the traditional self physio tool. It is a round, firm cylinder of foam and is available in short and long sizes. 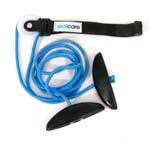 It can be used for self massage, core muscle training and stretching. Muscle Mate: The “Muscle Mate” is a firm, plastic device designed for self massage and mobilisation. The device has two sides; one is a firm, round tipped knob which can be used to provide trigger point release and mobilization to stiff joints. The other side is a grooved surface for self massage. Lumbar roll: Lumbar rolls, made of soft foam, are very helpful in supporting good sitting posture. They are helpful during episodes of spinal pain to make sitting more comfortable and also help prevent the onset of lower back or neck pain. Tennis elbow braces: We have a range of tennis elbow braces designed to reduce pain and weakness associated with tennis elbow. Most braces fit firmly around your forearm and provide compression and support to the injured muscles. Come in to the clinic and we can provide you with the most suitable one depending on your injury. Thoracic Wedge: The thoracic wedge is a useful tool for stretching and mobilizing the stiff joints of the middle and upper back. Helpful for correcting poor posture and improving flexibility of the spine, the thoracic wedge can reduce symptoms associated with back pain, neck pain and shoulder pain. Open Patella Knee Brace: We have a range of knee braces available that can help reduce symptoms associated with knee arthritis, ligament injury, kneecap problems etc. If we do not have the knee brace you require we can easily order one in, with delivery within 1-2 working days. Knee Wrap: We have a range of knee braces available that can help reduce symptoms associated with knee arthritis, ligament injury, kneecap problems etc. If we do not have the knee brace you require we can easily order one in, with delivery within 1-2 working days. Knee Stabiliser : We have a range of knee braces available that can help reduce symptoms associated with knee arthritis, ligament injury, kneecap problems etc. If we do not have the knee brace you require we can easily order one in, with delivery within 1-2 working days. Backpod :Exclusive to NB physio! The Backpod is a practical New Zealand innovation for treating upper back and neck pain. It is especially effective for the very common hunched, tightened upper back which drives most neck pain and headache. Wrist Splint- We have a range of wrist braces available that can help reduce symptoms associated with ligament injury, wrist pain etc. If we do not have the wrist brace you require we can easily order one in, with delivery within 1-2 working days. Compression Glove- This Compression Glove provides soft, gentle, even compression for swollen hands. These comfortable gloves are supportive without constricting sensitive, painful hands caused by arthritic joints. 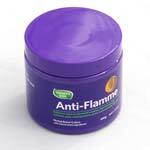 Anti Flamme Cream- Soothes strained muscles, joint aches, bumps, bruises and common sports injuries. It contains natural ingredients including pure herb extracts of Arnica, Hypericum, Calendula and Peppermint Oil. Used and recommended by all of our physiotherapists. Thumb Splint- This thumb splint is a lightweight, foam-lined splint that provides light support for both the wrist and thumb to reduce pain caused by thumb arthritis, ligament sprains, or tendinitis. 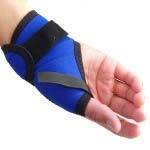 This thumb splint provides adjustable compression and support without restricting motion. 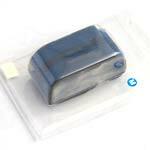 Self Massager- This small device is a firm massage tool covered with pointed ridges that is designed for self massage. It can be used to roll around tight bands of muscle to assist in their release. It is useful for relieving muscular pains and tightness. 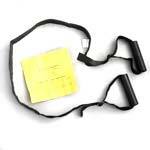 Mulligan Straps: Mulligan self snag straps are used for the self treatment of cervical and lumbar restrictions. By improving these restrictions there can also be an improvement in headaches, back pain etc. We will use the strap in the clinic as a treatment and teach you how to continue with it at home. 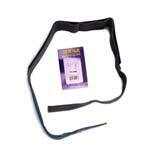 Mulligan Cervical Strap: Mulligan self snag straps are used for the self treatment of cervical and lumbar restrictions. By improving these restrictions there can also be an improvement in headaches, back pain etc. We will use the strap in the clinic as a treatment and teach you how to continue with it at home. Dynamic Tape:Dynamic tape is an elastic tape. It is very helpful for providing support to wrists, necks, ankles etc. when the preservation of range of movement is also important. 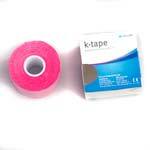 Conditions such as tendonitis can be helped with the use of Dynamic Tape. Fixom ull Tape:A low irritant, semi-stretchable tape. 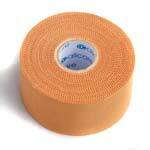 Often used as an under layer to prevent skin irritation from strapping tape. Also useful for less rigid strapping jobs, for example postural support.  AllCare K-Tape: K-Tape (or “kinesiology” tape) is an elastic tape that is very helpful in a sporting population to support previously injured muscles and improve muscular endurance and power. Leuko Rigid Strapping Tape: Highest quality brown strapping tape. Better adhesive than AllCare variety. Particularly useful for strapping knees, kneecaps and elbows. A more durable taping option. 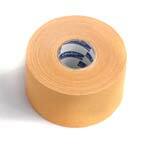 Serrated Strapping Tape: Highest quality brown strapping tape. Better adhesive than AllCare variety. Particularly useful for strapping knees, kneecaps and elbows. A more durable taping option. Orthotics: Orthotic additions can be used in combination with our TRIO orthotics range products or individually.Metatarsal domes: used to open the space between the bones of your feet and reduce symptoms associated with Morton’s Neuroma, arthritis etc.Heel raises: used to lift the heel and reduce symptoms associated with Sever’s disease, Achilles tendonitis etc. 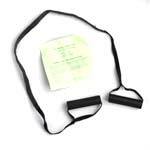 Seat belt strap with handles: Seat belt straps are a great way to improve your hamstr ing or sciatic nerve stretch. Wobble Board- Have you had bad ankle sprains in the past? Wanting to work on your balance. These Wobble boards are great for continuing with your rehab at home and to help improve your balance! 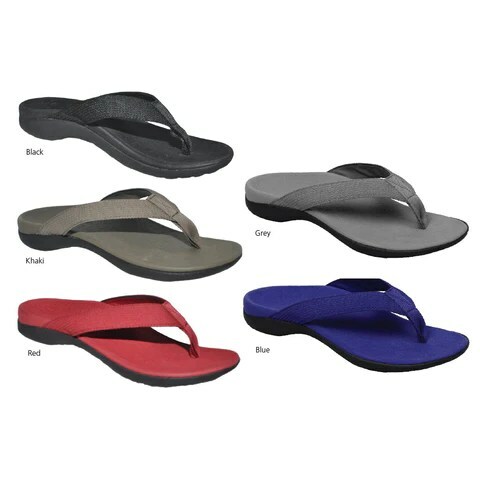 Axign Orthopedic Flip Flops:Designed by a team of orthopaedic footwear experts and medical professionals, Axign Flip Flops are summer shoes that mold and conform to bumps and arches of an individual’s foot. TheraTube: The original TheraTube resistance tubing. Perfect for a variety of home exercises. Comes in yellow (easiest), red (moderate), green (heav), blue (extra heavy), grey (super heavy), and black (special heavy).TheraBand: The original TheraBand resistance bands. Perfect for a variety of home exercises. 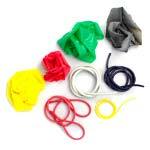 Comes in yellow (easiest), red (moderate), green (heavy) and blue (extra heavy). 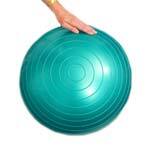 Swiss Ball:Versatile exercise ball that can be inflated to the desired firmness. Comes in a variety of sizes: 45cm, 55cm:, 60cm, 65cm, 70cm, 75cm, 80cm. Strasburg Sock- Do you suffer from heel pain, plantar fasciitis, achilles tendonitis, or just tight calves? Wear the Strassburg Sock at night to gently stretch arch, heel and calf tissues thereby reducing pain and promoting healthy tissue regrowth. Regular size fits calf size up to 16 inches. Serola SIJ Belt- The Serola Sacroiliac Belt is ideal for most hip and low back pain, maternity, pelvis instability, sacroiliac syndrome and acute lower back pain and is regarded as one of the best belts on the market. Pulley: This at-home pully is a fantastic way to self-mobilise stiff shoulders to really bring home the benefits from your physiotherapy sessions.